Choosing the best material for plastering helps to keep your walls strong, beautiful and protected for a long time. Let’s take a look at the multiple benefits of plastering! What Benefits Does Plastering Offer? Plastering offers multiple benefits to walls and ceilings. Both external and internal plastering is essential to lend the required strength and support. Plaster serves as a protective cover on stones and bricks and extends durability to ceilings as well as walls. Plastered walls are also protected against climate damage including rain, heat, and humidity. 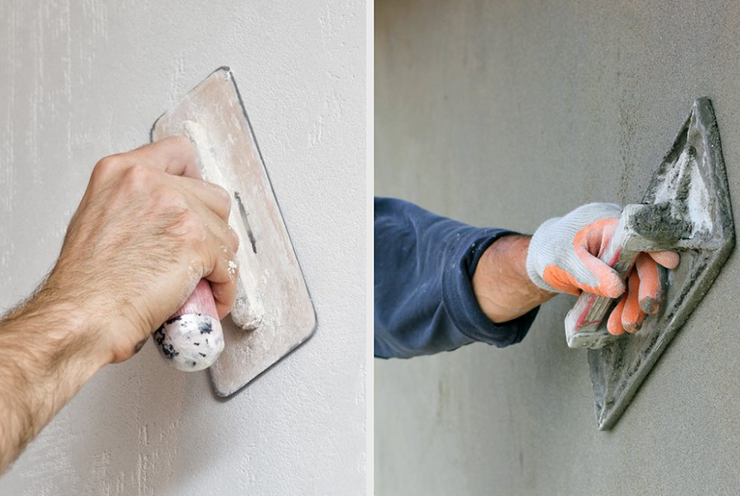 It is also easier to repair plastered walls in case if they get damaged in any way! Plastering also helps the levelling of the surfaces, and such walls are also finish-friendly as different finishes can be applied to it to enhance its look and appeal. 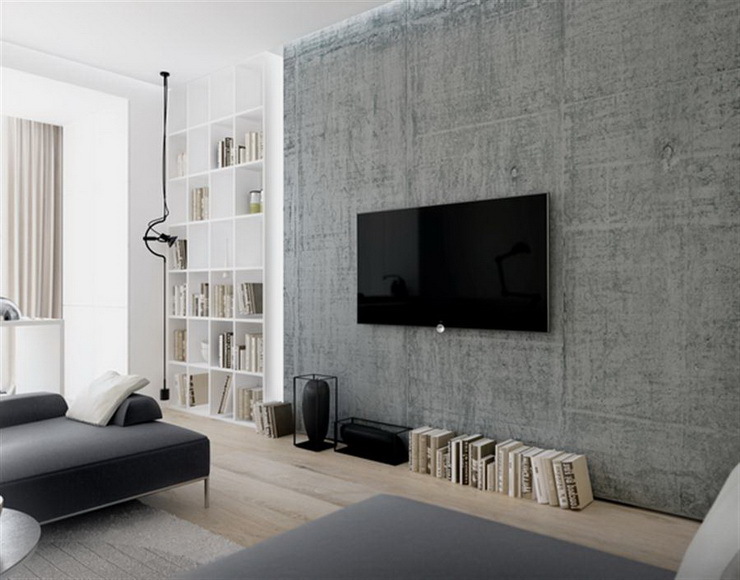 Your home could also be less polluted as plastered walls tend to attract and create less dust. Different materials are used for plastering, but the most commonly used plastering materials are cement and gypsum. The answer to which material is best for your home will depend on an analysis of the advantages and disadvantages of each. Gypsum Vs Cement: Which One’s The Best Plastering Material? Cement plaster is made by mixing cement, sand, and water, usually, the ratio of cement and sand is 1:4. The thickness of plaster depends on the surface to be plastered and could be around 12 to 20 milliliters. Sometimes, plasticizers are also mixed in the plaster to protect walls from parasites. The best thing about cement plaster is that it can be used both for external as well as internal plastering. Cement plaster is the best bet when it comes to plastering exterior walls because it is moisture-resistant and will protect the wall against climate changes as well as environmental pollution. The surface after cement plastering tends to look uneven and rough. Hence, it will require an additional process to achieve a smooth finish. Often, POP is applied to the plastered walls to give it a smooth finish. Cement-plastered walls and ceilings require water curing for about a week. Without the process, the surface will not gain strength and may soon develop cracks. Over time, surfaces may even shrink causing hairline cracks. It is a ready-made plaster and is used after mixing it with water. It is white in colour and powder in form. The thickness varies for wall and ceiling plastering, for the wall it could be around 11 millimeters while for the ceiling, the thickness is just about 8 millimeters. Gypsum plaster is also heated at specific temperatures to get different types of plasters. Unlike cement plaster, gypsum plaster does not require punning or any special process to achieve smoothness on the surface. Thus, it saves costs and time. Cement plaster has to be prepared manually but gypsum plaster is available in ready form. Hence, preparing it is much easier and convenient. Gypsum plaster does not expand or contract with time; hence shrinkage does not happen. Gypsum plaster is extracted from gypsum rock and later dehydrated to obtain the powder form. The biggest advantage is that gypsum plaster can be recycled and reused many times. It saves a lot of time because it dries very fast and you can start your painting work within 72 hours of plastering. A great benefit of gypsum-plastered walls is that its thermal conductivity is low and hence is adept at keeping your home cool during summers and warm during winters. The high resistant nature to fire and mould protects your walls and ceilings for a long time. The main disadvantage of gypsum plastering is that it is suitable only for interior plastering. It is not moisture-resistant and hence unsuitable for damp areas such as bathrooms, basements, balconies or kitchens. Both have pros and cons, but when it comes to exterior plastering, nothing beats cement plaster. For interior plastering, gypsum plaster will serve better. There are also other reasons for choosing gypsum plaster. It saves time and cost because it does not require water curing, unlike cement plaster. Depending upon the place of construction, water may not be available at all or may be very expensive. Gypsum plaster dries faster, so there is no waiting time required to start painting and other works. Since gypsum plastered walls have a good finish, you needn't spend additional time and money on extra smoothening finishes. Cement plaster has to be prepared with the right ratio of sand and cement, any ingredient in excess and you will not be able to get the right plaster texture. When you use gypsum plaster, all you have to do is mix it with enough water. Gypsum plaster is also a green product as it can be recycled and reused. Walls plastered with cement may develop cracks or shrinkage after a few months, but gypsum plaster remains fault-free for a long time. Hence, when a comparison is made, gypsum plaster seems to earn more favourable points. If you are looking for expert advice on how to get your home done up, get in touch with Hipcouch today! Newer PostDo You Know Just How Awesome Can The "Art Deco" Design Style Be For Your Interiors? Older PostRoom Dividers Blocking The Light In Your Living Room? These Partitions Are 'Light-Friendly'!